This detached storey and half full Turnkey property, Circa 1489 sq ft, offers excellent living accommodation with Lounge, open plan Kitchen/Dining/Living Area, Utility, downstairs WC, 4 Bedrooms, with Master En-Suite and Bathroom. There is only one site within the scheme for this house design. 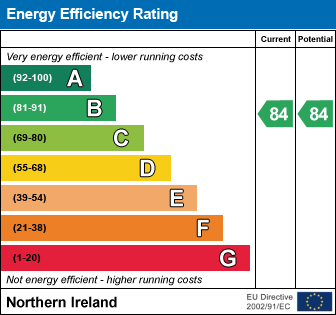 Excellent energy efficient home, with Site 3 being B Rated, (84), due to high level of insultation. I am interested in The Larch, Church View Lane, Church Road, Portadown. Please contact me about this property.